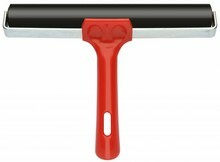 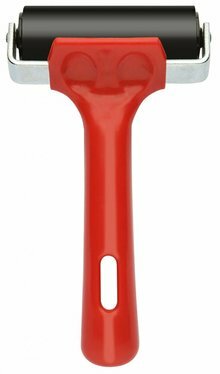 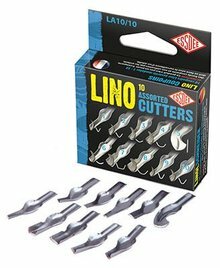 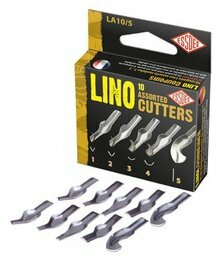 5 precision ground Lino cutters manufactured from high-carbon steel together with a sturdy polypropylene handle and aluminium ferrule which allows easy fitting and tightening of the cutters. 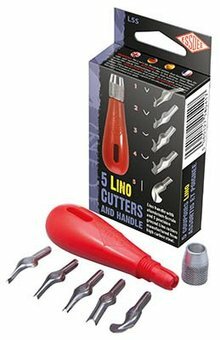 An ideal set for classrooms. 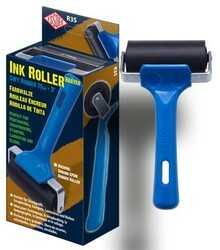 Ideal for applying inks to three-dimensional surfaces. 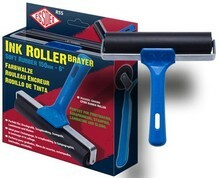 Spare rollers can easily be fitted by prizing off the rubber washers at the ends of the shaft. 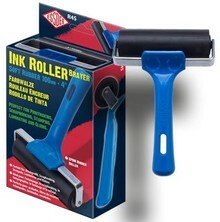 Interchangeable and washable, they're also suitable for applying adhesives. 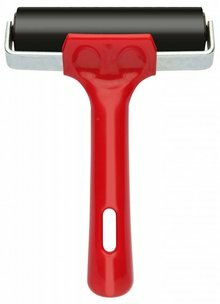 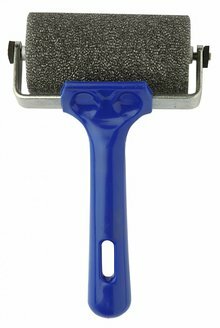 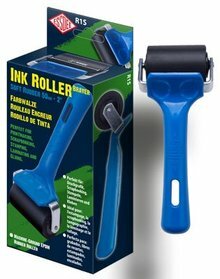 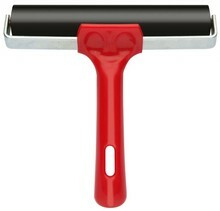 This sturdy rubber roller is perfect for printmaking and a default choice for education and purchasing authorities worldwide. 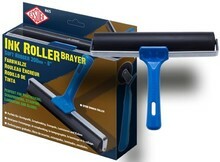 The rigid body and steel brackets give strength to the durable 70 shore EPDM rubber roller enabling heavy use. 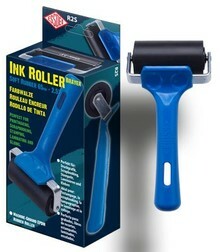 Range of viscous, water based printing inks specially formulated to give smooth flow resulting in excellent coverage and printing properties with good hold out capability.